The process of printing ballot papers was carried out under the supervision of the armed forces and representatives of the Election Commission of Pakistan, witnesses told the judicial commission formed to probe alleged rigging in the 2013 elections. During the hearing of the judicial commission on Friday, former managing director of Printing Corporation Pakistan (PCP) Musa Raza Afandi, former managing director PCP Lahore Muhammad Rafiq and Managing Director Pakistan Post Foundation Ijaz Ahmad recorded their statements. The witnesses revealed that the process of printing ballot papers was carried out under the supervision of the armed forces and representatives of the ECP. During cross-examination, Afandi said that PCP had three printing presses in Islamabad, Lahore and Karachi and each one was managed by a manager who reported to the MD. On a question about printing of ballot papers, he said that the Election Commission asked PCP for printing of ballot papers on April 19, 2013. He said that the action plan for printing of ballot papers was received on April 18, 2013. He said that PCP printed 109,158,600 ballot papers for seven National Assembly and five provincial assembly seats. On a question that April 18, 2013, was the last date for finalization of list of candidates, the MD PCP said that he did not remember the exact date and added that the PCP started printing of ballot papers after receiving the final list of candidates. He said that the PCP had asked Postal Services Foundation to print 17 million ballot papers on April 26, 2013. On a question about enquiry regarding printing of ballot papers, Afandi said that his service was terminated on July 4, 2013 so he was not aware of any enquiry. To a query about hiring of skilled manpower, he said that PCP did not seek any manpower but the PSPC did hire services of 34 individuals for numbering and binding of ballot papers. He said that approval was sought for 60 to 70 people but only 34 people were found to be useful and they were employed. He said that these persons performed duties till the morning of May 10, 2013. 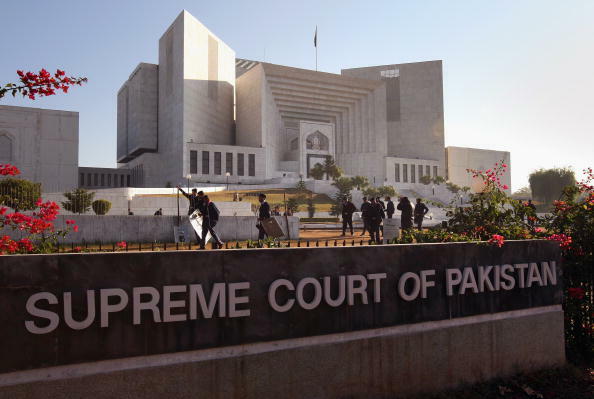 During the cross-examination by PML-N counsel Shahid Hamid, Afandi said that the Islamabad press had started the delivery of ballot papers on May 2, 2013 and completed the task on May 9, 2013. He said that paper used for ballot was not available anywhere in the country. Former PPF MD Ejaz Ahmed, during his cross-examination by PTI counsel Abdul Hafeez Pirzada, said that PPF was assigned task of printing of ballot papers by the PCP. He said that the ballot papers printed at PPF were handed over to a team of ECP, PCP and Army officials. He said that PPF had printed 21 million ballot papers, out of them 17 million ballot papers were numbered and 4 million ballot papers were not numbered. Earlier, responding to the testimony of the former election commissioner of Punjab, who revealed that extra ballot papers were printed in several constituencies, the Pakistan Muslim League-Nawaz (PML-N) also said that the ballots were printed under the army’s supervision. In a written reply submitted to the enquiry commission, PML-N counsel Shahid Hamid admitted that the process of printing and delivery of ballot papers for the polls was delayed because of outdated printing machines, shortage of manpower and capacity issues. Claiming that the ECP took all major decisions in consultation with political parties, the government in its response made it clear that private corporations printed ballots under the supervision of the army. The ruling PML-N incorporated this aspect repeatedly in its reply to satisfy the qualms of opposition parties. Further, during the proceedings, the commission summoned provincial election commissioner Sindh to appear before the bench on Monday. Chief Justice Nasir-ul-Mulk also said that the judicial commission should preferably be concluded within 45 days. When the PTI’s counsel Abdul Hafiz Pirzada sought adjournment, Justice Amir Hani Mulsim observed that they were running short of time as the parties had themselves fixed the period of the probe for 45 days.